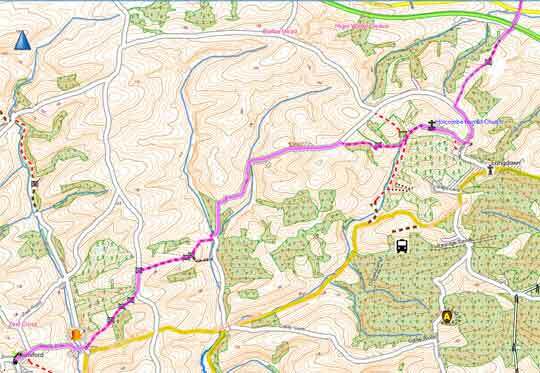 This quite strenuous route follows paths,tracks & country lanes avoiding all major roads. It passes the church of St John the Bapstist & Holcombe Burnell Barton,an old manor house. You will need to download the gpx file as the route is not signed. You can take the Country Bus 359 from Exeter Bus Station,stand 2. There are several steep climbs.